Astronomers using NASA’s Swift X-ray Telescope have observed a spinning neutron star suddenly slowing down, a never before seen event that is expected to catalyze renewed efforts to better understand the puzzling physics of these bizarre stellar remnants. 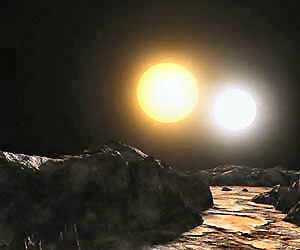 The star, known as 1E2259 586, is in the Northern Hemisphere sky in the constellation Cassiopeia. 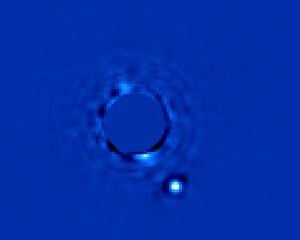 The discovery was made by an international team of scientists and is detailed in the journal Nature. Although astronomers have previously observed neutron stars suddenly speeding up their spins – an event called a “glitch” – they have never observed one suddenly slowing down. “We’ve dubbed this event an ‘anti-glitch’ because it affected this star in exactly the opposite manner of every other clearly identified glitch seen in neutron stars,” said NASA’s Neil Gehrels, the lead researcher on the Swift mission. A neutron star is the closest thing to a black hole that astronomers can observe directly. It is the crushed core of a massive star that ran out of fuel, collapsed under its own weight, and then exploded as a supernova. The matter left behind after the explosion is compressed into a ball only about 12 miles across (about the size of Manhattan Island) but with a mass roughly half a million times more than the mass of the Earth. Neutron stars can reach speeds of rotation as fast as 43,000 rpm and can have magnetic fields a trillion times stronger than the Earth’s. But 1E2259 586 is an even more bizarre and rare kind of neutron star. It is one of fewer than two dozen neutron stars called “magnetars” because they have ultra-strong magnetic fields. Magnetars also can have dramatic outbursts of X-rays so strong that they can affect Earth’s atmosphere, even if the magnetar is sending its blasts from the opposite side of our Milky Way galaxy. Using Swift’s X-ray Telescope, the scientists observed regular X-ray pulses from magnetar 1E 2259 586 from July 2011 to mid-April 2012. During this time, the magnetar was spinning once every 7 seconds (about 8 rpm) and it appeared to be slowing down at a gradual and stable rate. 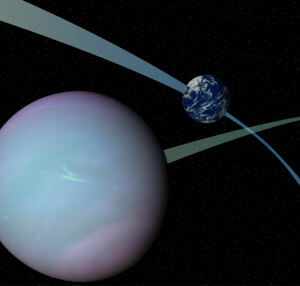 But at the next scheduled observation on 28 April 2012, the data captured by Swift showed the star’s spin had abruptly slowed by 2.2 millionths of a second – the anti-glitch. 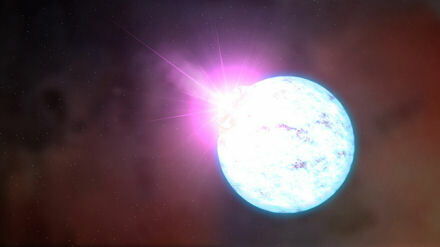 On 21 April, just a week before the anti-glitch, the magnetar produced a brief but intense X-ray burst detected by NASA’s Fermi Gamma-ray Space Telescope. The scientists now think this 36-millisecond eruption of high-energy light likely marked the changes that drove the magnetar into the abrupt anti-glitch slowdown mode. In addition, continuing observations have revealed that the magnetar’s spin is continuing to slow down at a much faster rate. 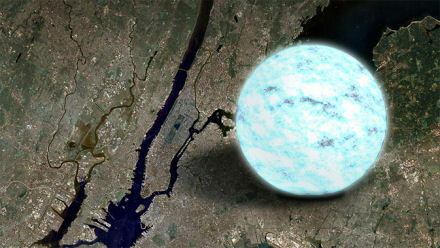 “This neutron star is doing something completely unexpected. Its speed of rotation has been dropping at an increasingly rapid rate ever since the initial sudden decrease in its spin,” said team member Jamie Kennea, from Penn State. 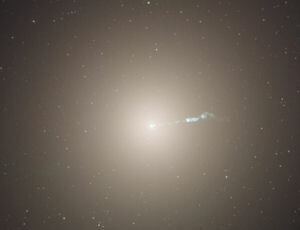 The observations confront astronomers with a new theoretical challenge. What exactly could cause the magnetar’s X-ray outburst, then the abrupt slowdown of its rotation, and now the even faster deceleration of the star’s rotation? Theories of the internal structure of a neutron star, which were current before the anti-glitch discovery, envision a crust of electrons and charged particles above an interior containing, among other oddities, a bizarre, friction-free state of matter called a neutron superfluid. According to these theories, because the surface of a neutron star accelerates streams of high-energy particles through its intense magnetic field, the star’s crust should always be losing energy and slowing down – but the fluid in the interior of the neutron star should resist being slowed. The crust could fracture under this strain, producing an X-ray outburst while also receiving a “kick” from the faster-spinning interior that would speed the star’s rotation. So now, after the discovery of the anti-glitch, scientists need improved theories to explain the unexpected and continuing slowing-down of the rotation of magnetar 1E 2259 586. The researchers note that some properties of conventional glitches have been suggestive of flaws in the existing theory to explain them. 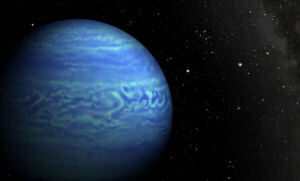 They are hoping that the new phenomenon will open the door to renewed progress in understanding neutron star interiors. Pulsars: What Are We Missing?